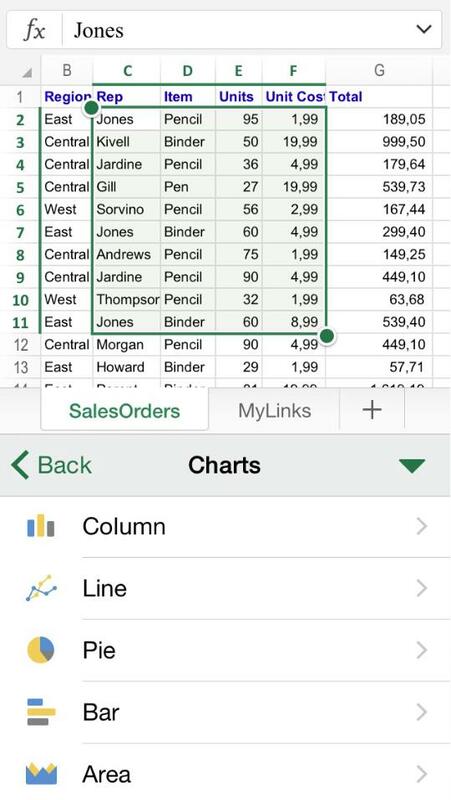 In this tutorial you will learn to create and customize charts in Excel for iPhone and iPad. 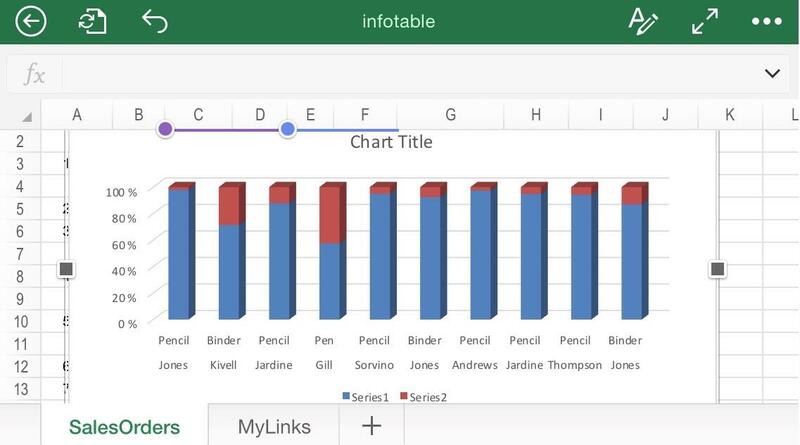 You will also learn some of the limitations for charts found in the iOS version compared with the desktop equivalent. Find the ribbon button , and then look for the “Insert” option. 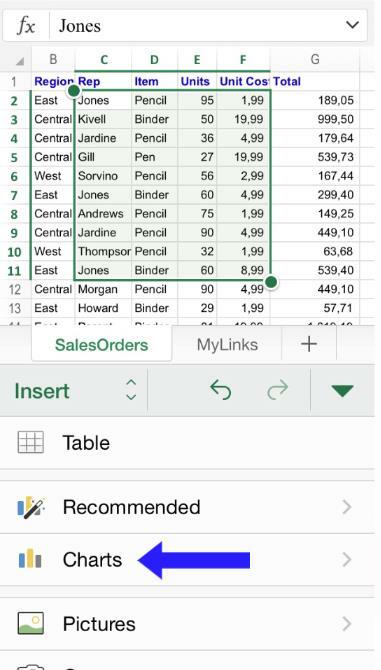 Once you are inside the “Insert” menu, look for the option “Charts”. Again, please be sure that the desired range is selected within the green square. Once you have decided from the pool of chart options, the chart will be automatically generated. You can also resize it using the gray squares in the corner. 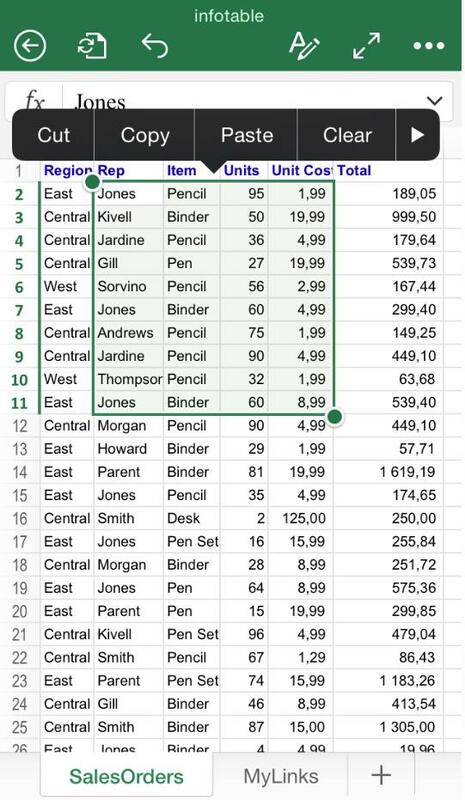 If you come back to “Insert / Charts”, you will see some customization options available. Unfortunately, only “Layouts”, “Colors” and “Styles” can be changed in the free version. 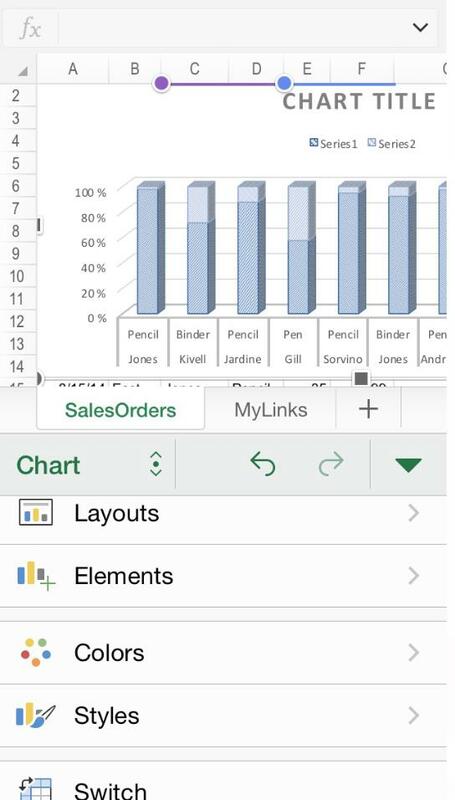 For customizing “Elements”, which includes changing Axis and Chart titles, you will have to acquire the paid version.